PO Foy L. Star, son of Mr. and Mrs. R. L. Starr, graduated from Frederick High School; husband of the former Julia B. Dickerson. 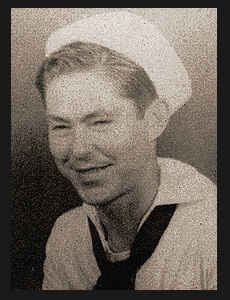 Entered Navy in March, 1943, trained in San Diego, Cal. ; served in S. Pacific, Guadalcanal, Hawaii; is now on duty in Seattle, Wash. Awarded Asiatic Pacific Ribbon with two Battle Stars, Am. Defense Ribbon.